This blush smells like cocoa butter! Yum. 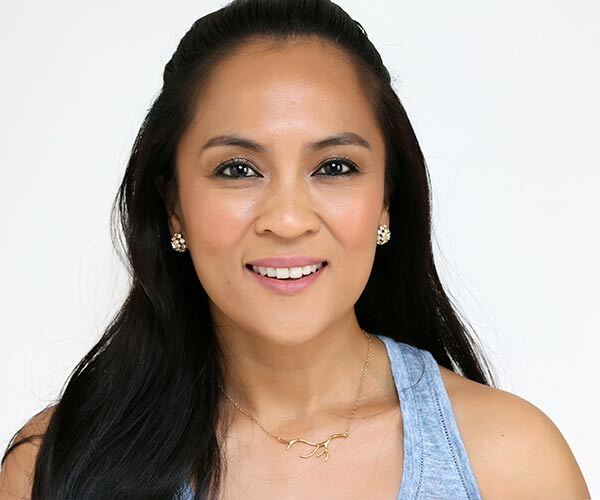 Technically, this shimmery golden tan face powder is classified as a blush, but it also works as a highlighter, which is how I use it. 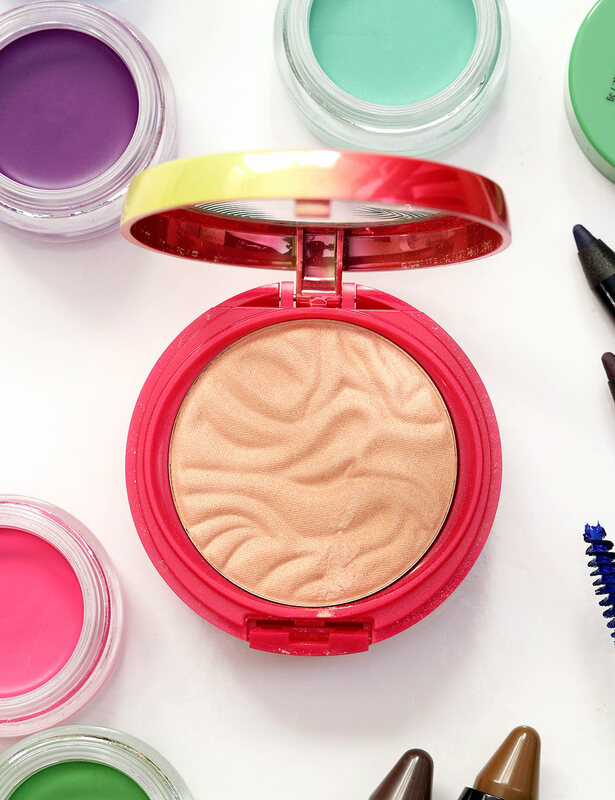 It looks lovely on upper cheekbones (and more expensive than its $12.99 price would suggest). 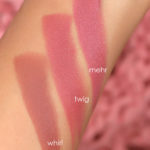 It’s available now in Natural Glow and Plum Rose for $12.99 each. So many cray-cray colors…but cray-cray in the *best* possible way! From the handful I’ve tried, these potted cream shadows vary widely in quality. Some of them, like mint green Aqua Sapphire and kelly green Get Money, are chalky, dry and skip a bit when I blend them, but sky blue Blueprint, purple Rebellious Edge and hot pink Love Overdose POP on the skin. And all of them are a blast blend. 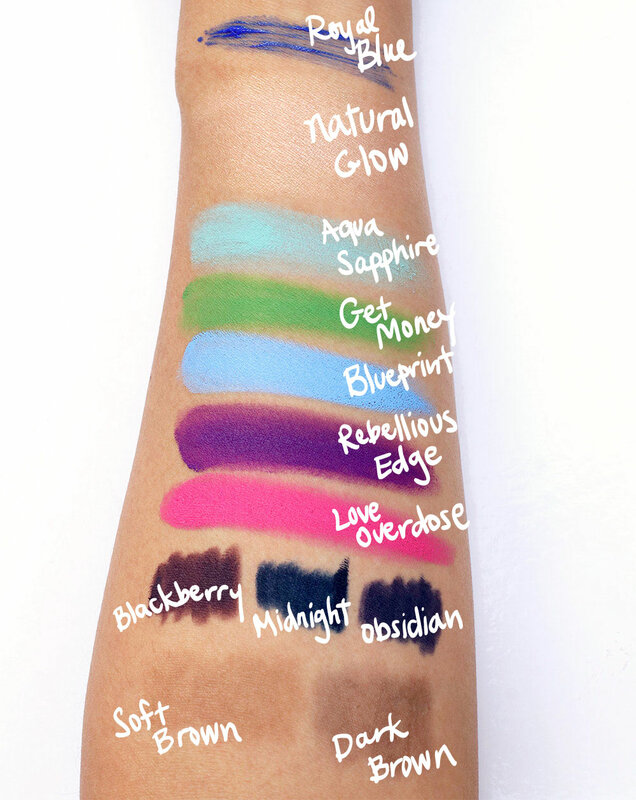 They’re available now in Cyberpop (red), Endless Skies (light blue), Aqua Sapphire (mint), Love Overdose (hot pink), Glam Rock (tan), Get Money (bright green), Light Show (goldenrod), Bad Blood (oxblood), Pillow Talk (taupe), Sugar Rush (pastel purple), Blueprint (bright blue) and Rebellious Edge (purple) for $9.99 each. THE VERDICT: Need! — especially the hot pink, sky blue and purple, OMG! But it really depends on the shade, so keep your receipt in case you get a dicey one. Trimethylsiloxysilicate, Dimethicone, Isododecane, Alumina, Silica, Phenyl Trimethicone, Beeswax / Cera Alba / Cire d’Abeille, Aluminum Starch Octenylsuccinate, Polyethylene, Microcrystalline Wax / Cera Microcristallina / Cire Microcristalline, Dimethicone / Vinyl Dimethicone Crosspolymer, Water / Aqua / Eau, Sorbitan Sesquioleate, Triethoxycaprylylsilane, Ethylhexylglycerin, BHT, Barium Sulfate (CI 77120), Phenoxyethanol. May Contain: Titanium Dioxide (CI 77891), Iron Oxides (CI 77491, CI 77492, CI 77499), Red 6 (CI 15850), Red 7 (CI 15850), Yellow 5 Lake (CI 19140), Yellow 6 Lake (CI 15985), Blue 1 Lake (CI 42090), Red 28 Lake (CI 45410), Manganese Violet (CI 77742). 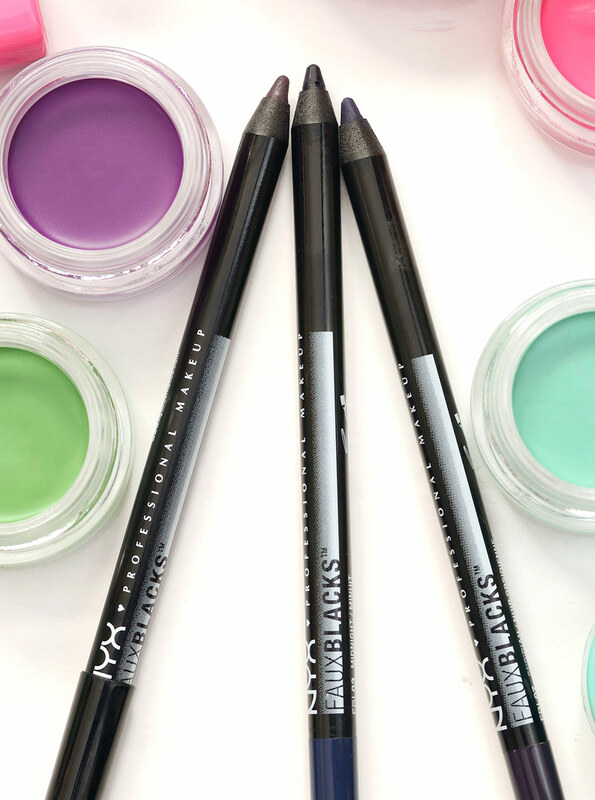 I had such a great experience with the NYX Faux Whites shades that I was sure I’d love the black pencil versions too, but for the life of me I can’t get them to stick to my water lines, so for me, that means nope. On the lash line, they wear like iron, though. They’re available now in Obsidian (blue black), Black Hole (purplish black), Midnight (navy black), Onyx (forrest green-black), Burnt Sienna (plum black), Black Olive (khaki black), Oxblood (reddish black) and Blackberry (light purplish black) for $7.99 each. THE VERDICT: Nope! I absolutely need to have the option to line my water lines, so these are a reluctant nope for me. If you mostly stick to lining your lash lines, however, you might want to grab one or two. They’re $7.99 each. Isododecane, Trimethylsiloxysilicate, Dimethicone, Polyethylene, Synthetic Wax, Silica, Polybutene, Alumina, Stearalkonium Hectorite, Talc, Propylene Carbonate, Caprylic / Capric Triglyceride, Polyglyceryl-4 Diisostearate / Polyhydroxystearate / Sebacate. May Contain: Titanium Dioxide (CI 77891), Iron Oxides (CI 77491, CI 77492, CI 77499), Chromium Oxide Greens (CI 77288), Ferric Ammonium Ferrocyanide (CI 77510), Manganese Violet (CI 77742), Ultramarines (CI 77007). 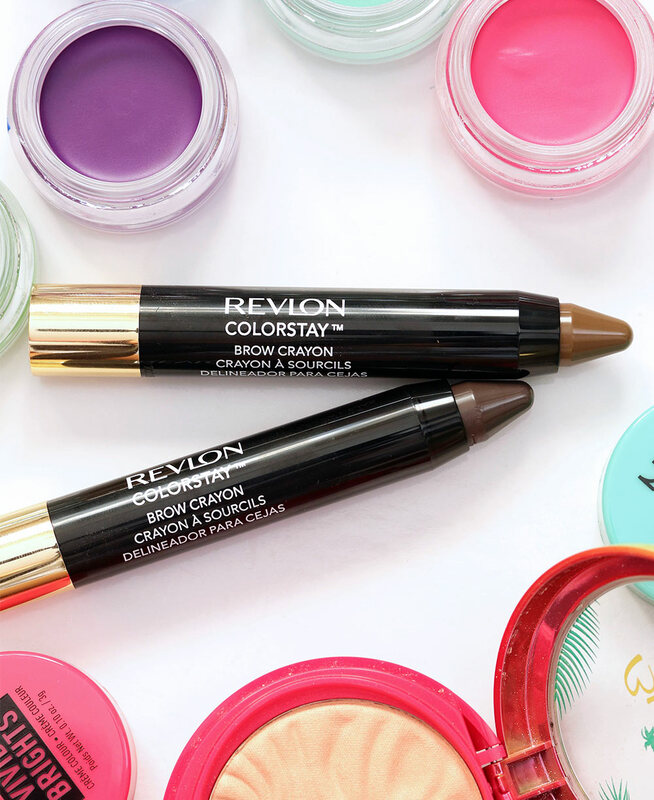 These Revlon ColorStay Brow Crayons are nice and chunky (like my favorite tabby! ), so they should be able to quickly fill in my brows, right? Unfortunately, I can barely see the colors on my brows. They’re available in Blonde, Soft Brown, Dark Brown and Soft Black for $9.99 each. Isononyl Isononanoate, Ozokerite, Trioctyldodecyl Citrate, Silica, Octyldodecyl Neopentanoate, Bis-Diglyceryl Polyacyladipate-2, Synthetic Fluorphlogopite, Cetyl PEG / PPG-10 / 1 Dimethicone, Hexyl Laurate, Polyglyceryl-4 Isostearate, Polyethylene, Paraffin, Butyrospermum Parkii (Shea) Butter, Cocos Nucifera (Coconut) Oil, Mangifera Indica (Mango) Seed Butter, C10-30 Cholesterol / Lanosterol Esters, Synthetic Wax, Octyldodecanol, Octyldodecanol, Cera Alba ((Beeswax) Cire D Abeille), BHT, Benzoic Acid. Such a great idea for a series! 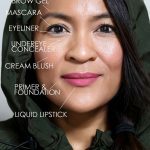 Whenever I am at the drugstore I am overwhelmed by the amount of new products out there, so having the opportunity to read about them every once in a while is great. I know what you mean about the improvement in drugstore makeup. Back in the day I always had to go to a department store to get concealer & foundation light enough for me. The drugstore brands were always too dark/orangey looking. And now, my concealer is Maybelline and my base is a Bourjois CC Cream. And the funish in them is amazing. So light & natural looking. Sadly I’m yet to find a drugstore eyebrow product that is a cool taupe-ish blonde & not orangey. So true about the brow product situation! I just realized that I’ve yet to really be wowed by a drugstore brow product! How are you doing on this lovely Friday? Good I hope! I’m so glad the weekend is right around the corner. Hi, I’m well! It’s the early hours of Saturday morning here, and later on we’re going shopping for a gift for my Mum’s 70th birthday (it’s coming up soon) and if I’m really lucky we’ll check out a comic book store for free comic book day! ? Happy early birthday to your mom! Is she obsessed with Sally? I bet she is! Have a great Saturday. 🙂 I’m halfway through Friday, and my parents are watching Connor so I’m working like a maniac for the rest of the afternoon. It’s nice to have extra hands to help. Yes! I love the concept for this series! I LOVE high end makeup, but dang…I am tired of the prices. I’m also tired of the look on my husband’s face when a Sephora box arrives on our doorstep! ? I want to try more drugstore stuff, but I never know if I’m going to find an incredible product or a complete waste of money and time. Thanks for sharing your thoughts on these ? 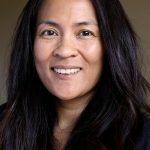 I’m excited to hear you’re excited about it! 🙂 YES!!! 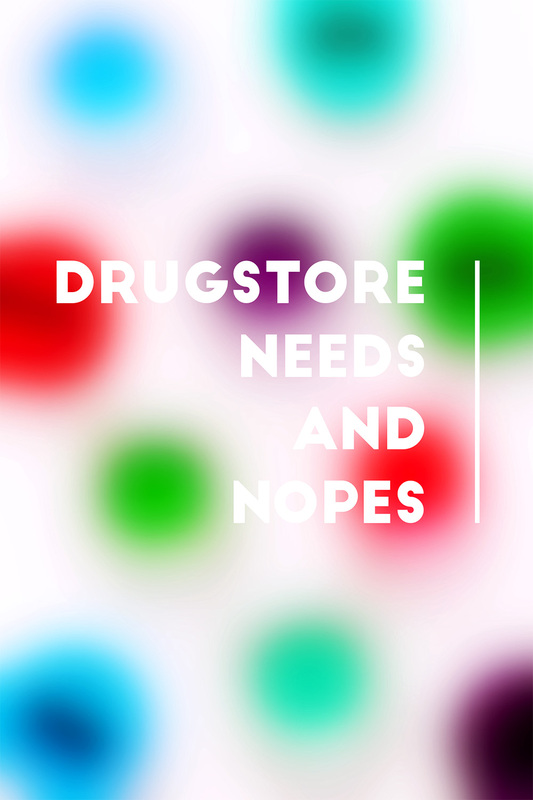 Is there anything in particular from the drugstore that you’re curious to try? I’m so with you on Great Lash. Some people have excellent results but it just never worked for me. I did get a kick out of the French on the package in your pic, though. And it’s kind of neat that it’s distributed from their Montreal location, since that’s just up the road. 🙂 Btw, I had a bad feeling about the Revlon brow pencils. They just look so waxy in your pic. Oh gosh, yeah, those pencils were not my fave. I need to find a good drugstore brow filler. I’m sure one is out there! How cool that you live so close to Montreal. I’ve always wanted to go. 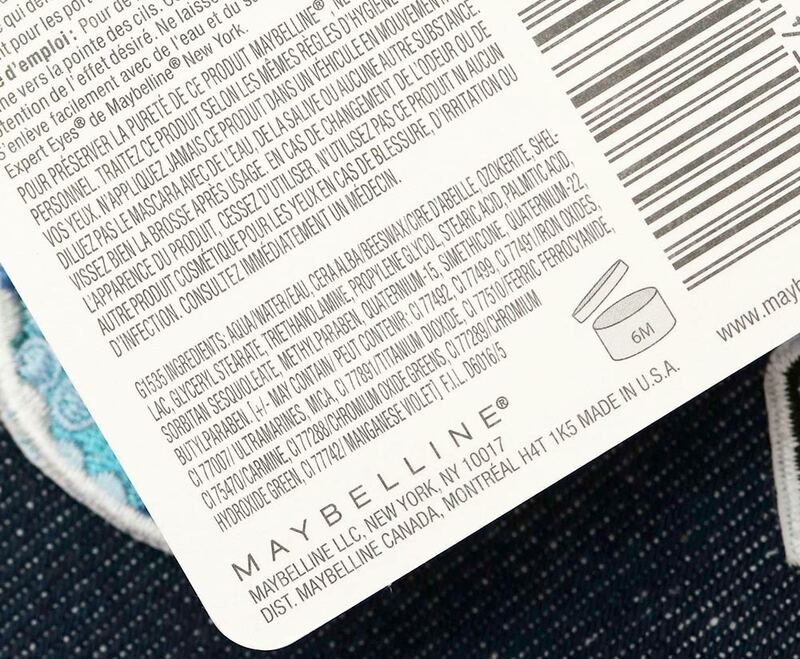 I agree with you about Maybelline Great Lash. I love many other Maybelline mascaras but that one is skippable for me. I really like the Maybelline Brow Studio Define + Fill Duo pencil. It doesn’t look heavy on me at all. I also like LA Girl HD Pro Concealers, Maybelline Colorsensational The Loaded Bolds lipsticks in Raging Raisin and Smoking Red. 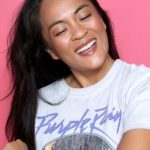 I didn’t love the Maybelline Brow Studio Pomade Crayon and the mascara, Revlon Colorstay eyeliner pencil and Rimmel lipsticks in the purple tube. Thanks for all these recommendations, Chris! Adding them to my drugstore wish list, YAY! I don’t like Great Lash either. I might like that one just for a lower lash accent since it’s subtle. As for DS stuff I want; I hear there are some things like the newer Chanel lip stylo’s in either Revlon or L’Oreal but I haven’t double checked. 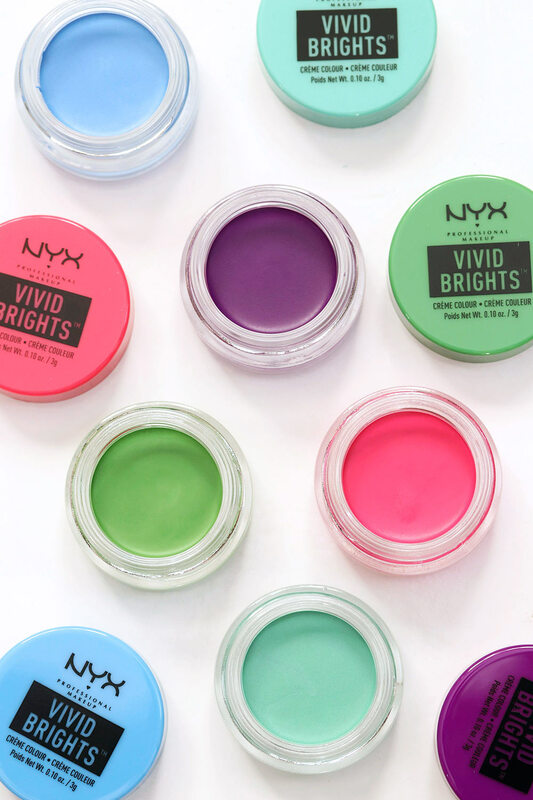 I also really want all the NYX highlighters. Pacifica is coming out with some sunscreen and I need that for sure. Nyx is not bad at all most of the time, but I agree these liners didn’t last a minute on me either. 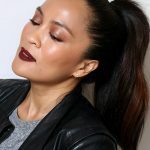 Love their matte lipsticks but have to wear them over lip balm, otherwise they dry me out… Haven’t tried anything from Revlon for a long time and I’m sure I should! 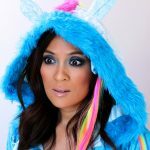 Eleni recently posted … Urban Decay Basquiat Collection: Swatches, Review and FOTD. 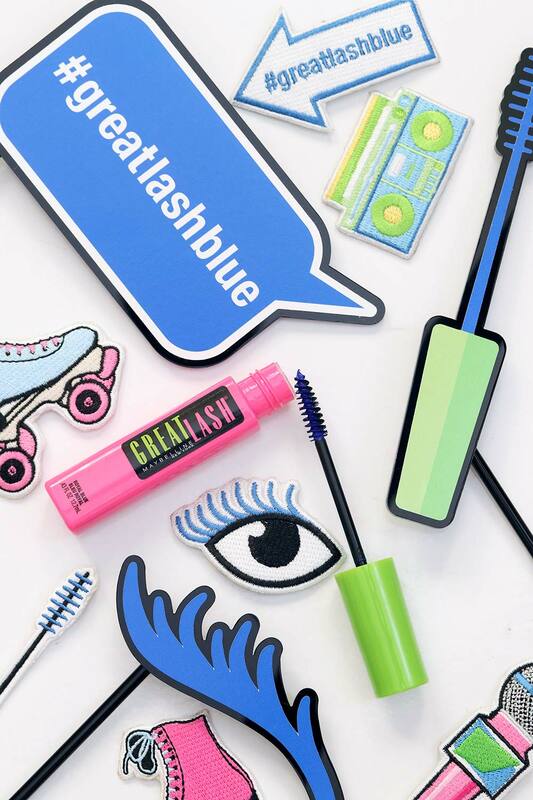 I’m glad I’m not the only one who isn’t a fan of Great Lash mascara! I feel like it’s so hyped up. I’ve tried it a few times and it’s always been just meh for me. 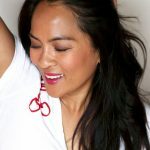 There are much better drugstore options out there in my opinion!